Macon: You control your own nature and loving this boy puts you in terrible danger. If Twilight has paved the way for movies like Warm Bodies and Beautiful Creatures to be made, then I am all for it at this point. I am not actively seeking out paranormal teen romance movies, but the fallout from one self-serious franchise has led to a couple, more accessible and enjoyable features that I have quite liked. 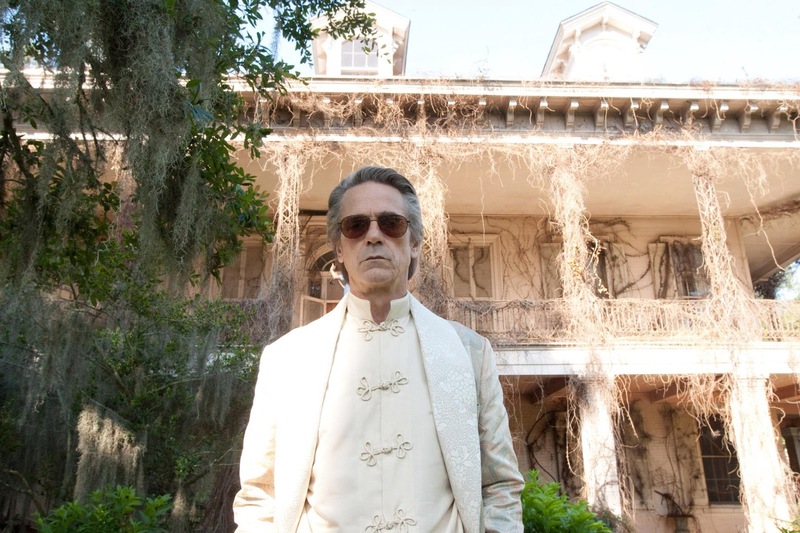 Beautiful Features is a mix of melodramatic narrative beats and campy, witch-related supernatural drama, all set in a Southern gothic horror location, but the film is a lot of fun. The young leads are very likable and have great chemistry, therefore making the key romance work overall. The adult actors are all having a ball chewing up the scenery, making the movie practically aware of itself, short of winking at the camera. A good majority of this film is really effective, as the charisma of this cast, the strength of the dialogue, the moments of humor, and the great visuals do plenty to keep it entertaining. It is only when the film forces the exposition and attempts to link it to the rest of a presumed franchise that the story suffers overall. It comes with the territory, but the film better than just another Twilight clone. The film’s main character, or at least the audience gateway character, is Ethan Wate (Alden Ehrenreich), who is a bright kid, a junior in high school, and hopeful that he can get into a good college and leave the boring town of Gatlin, South Carolina. On the first day of the new school year, Ethan meets Lena Duchannes (Alice Englert), a raven-haired girl who is new in town and is accused of belonging to a family of witches. Given that the parents of most of the children in this town are high on “the Lord’s word”, Lena is immediately deemed an outcast to basically everyone, except Ethan. The two of them eventually form a relationship, which is made more complicated by a little thing about Lena’s family. Lena actually is a witch (referred to as Casters) and is part of a family of Caster’s, who all have varying levels of power. 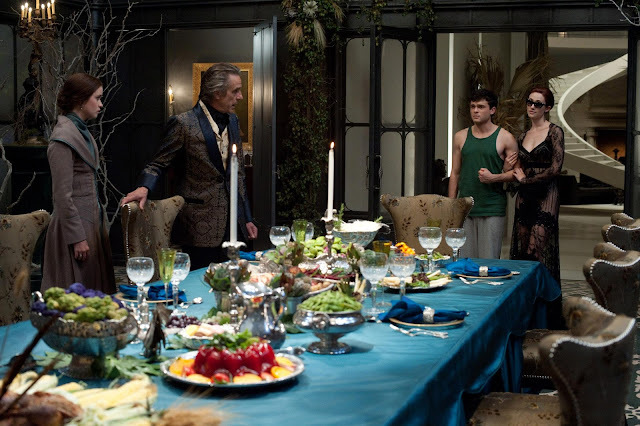 Lena currently lives with her uncle, Macon Ravenwood (Jeremy Irons), the town’s founder, who lives in a mansion on the outskirts of Gatlin and is hell-bent on keeping Lena safe from those who want Lena to turn to the dark side, including her own mother (Emma Thompson) and her cousin Ridley (Emmy Rossum). On her sixteenth birthday, Lena will undergo a ritual that will decide her fate. A lot of this will rely on Lena’s ability to control herself, which is put into question, given the relationship she has developed with Ethan. If the plot sounds silly and contrived, it is because it is. 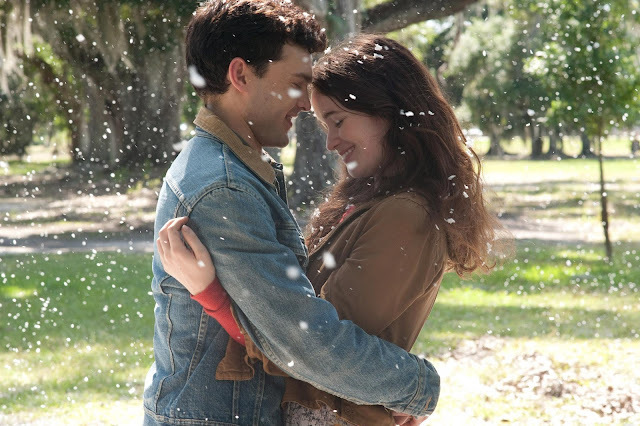 Beautiful Creatures has a plot that mixes elements of the hero’s journey and the forbidden love story, but the movie works best when it is not too focused on the plot and happier to develop its characters. 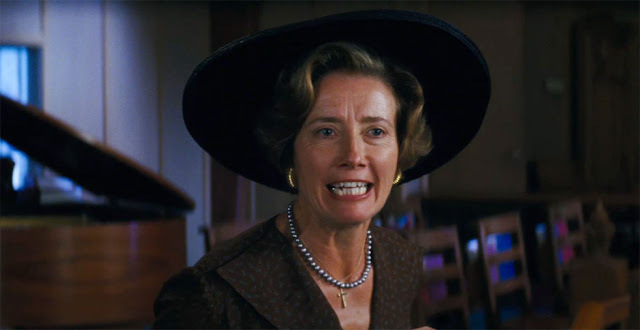 Fortunately, that makes up a good 70-80% of the film and even when we do have exposition forced on us, it is done so by characters played by Jeremy Irons and Emma Thompson, who seem to be super game to have a lot of fun on camera. It truly is the characters that make this movie worthwhile. Instead of dealing with vapid teenagers or angst-ridden twentysomethings (ok, there are one or two angst-ridden characters in this movie), the film gives us Ethan and Alice who share a great amount of chemistry and deliver some strong dialogue and humorous banter. Ehrenreich’s performance, in particular, is quite noteworthy, given his energy that mixes well with his southern drawl that, for whatever reason, makes his character more endearing. A colleague of mine said he was reminded of a young DiCaprio, and I would have to agree. Englert is also quite solid as Lena. Rather than remain cold and elusive, she has warmth to her character, despite the concept that she could turn “dark”. And lastly, of the younger actors, Emmy Rossum is plenty sultry and also quite happy to turn up the camp factor. Given that Rossum has gone from more bookish-type characters to this (as well as her character on the Showtime series Shameless), I am completely fine with that. On the older side, Irons and Thompson are wonderful in this film. They get exactly what kind of movie they are in and relish in the opportunity to play up their roles. Jeremy Irons, in particular, sinks into all of his lines, especially in his desire to mention “Google. Viola Davis also stars in this film as Amma, a Caster who also happens to care for Ethan. Davis is certainly in the role that requires less of a showy performance and more of someone who needs to underplay a lot of scenes and Davis really does deliver. Director Richard LaGravensese, who also adapted the book by Kami Garcia and Margaret Stohl, gets a lot of mileage out of not just the actors, but the setting. He has a lot to work with in this Southern setting and really knows how to create the appropriate atmosphere for a film that involves romance, supernatural powers, and the look of a boring town with more going on underneath its surface. We even get to see a Civil War reenactment and who doesn’t want to see one of those! But seriously, the work done to put this film together is quite solid and the effects work is minimal in terms of CGI, but slick and appropriate when utilized. The main problem is that the film is forced to follow the story constraints assigned to it by being the first film in what a studio expects to be a successful franchise. 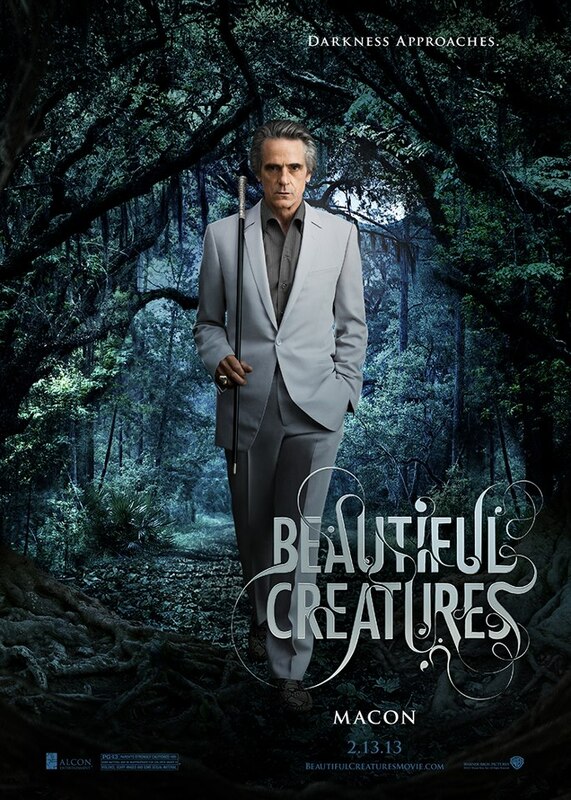 Beautiful Creatures has to introduce characters that are not really necessary in this movie and establishes a lot of extra information, despite the fact that not a lot of it ends up mattering. The last third of this film is plot heavy, which takes away from its main strength, the characters; especially since the lead character is pushed to the side in favor of a fight over whether Lana goes light or dark. What is weird is that those stakes never really register that effectively. Being ‘dark’ just seems to mean that you are better at witty quips and dress sexier. If the film was above following a particular formula, things could have worked out for the better, but at least it functions as a standalone feature. Because of the plot heavy finale, large exposition chunks that pop up throughout, and a lack of true danger, Beautiful Creatures slips away from being a better film, but still gets by based on the strengths that I have mentioned. Really, instead of Twilight, I could best relate this movie to the HBO series True Blood, albeit a much more toned down version, but a version of that of that series at its best, when the dialogue is firing on all cylinders, in the midst of a story populated by likable and campy characters, with soap-y drama. I do not know what is going to happen with the rest of this series, I may not have an interest in checking out the original books, but this movie worked for me overall and if there are more entries that capture the same spirit of this film, I would not be opposed to it. Ridley: You think you can keep Lena so good, so innocent? Wasn't I the same before I was claimed? And look what I am now.